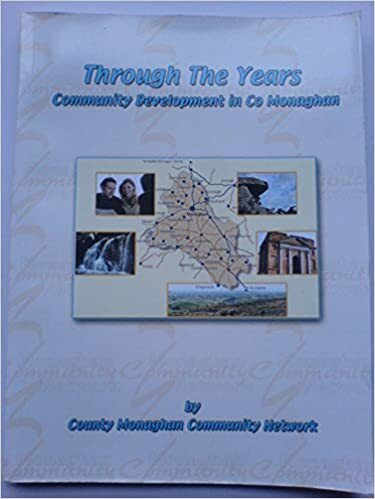 A limited number of the 2008 Monaghan Community Network book “Through the Years, Community Development in Co Monaghan” are still available. The book runs to 97 pages and has a foreword by noted Monaghan author and playwright Eugene McCabe, It also features contributions from Ethne McCord, Mary Mullen, Ann McGeeney, Tommy McGuire, Francis McCarron, Carol Lambe, Walter Pringle, Reatha Hassan, Sintija Pirite, Declan Conlon, Pauline Walsh, Peter Cavanagh, David McMullen, Margaret Fox, Veronica Johnston, Ann McGeeney, and Deirdre McCluskey, Pat O’Brien, Seamus Boland, and Breege Lenihan. The book is a great keepsake about people in the border counties and Monaghan Community Network who give their time and talent freely to help their local community, often doing work acknowledged by Taoisigh and Presidents. Get your’s now, while you still can. Contact the Monaghan Community Network office on the North Road, Monaghan. 047 30912.